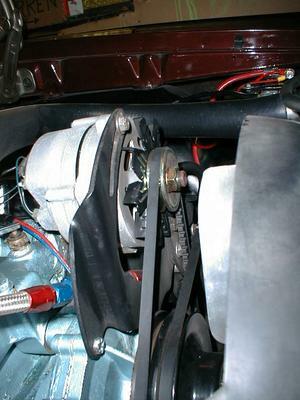 Here are some photos of alternators and power steering pumps on 60's and 70's Pontiacs. 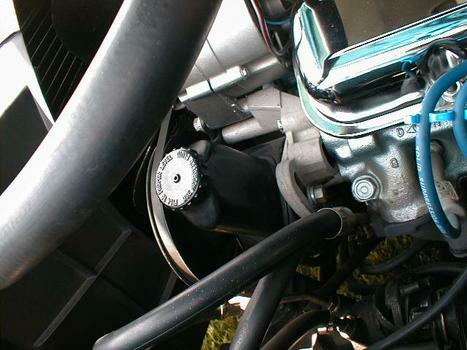 Not too exciting, unless you're trying to figure out how the brackets bolt together on your car. 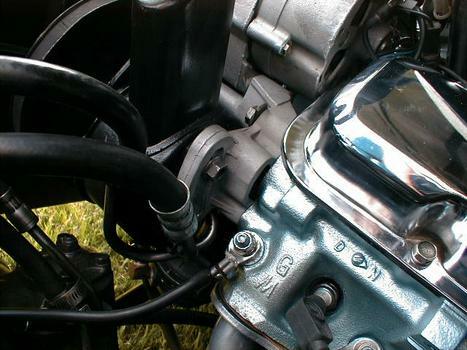 The following 4 photos are of my '66 GTO, but the engine is a '72 400, so the brackets and power steering pump are 70's style. The rest of the pictures are from various Pontiacs I saw at Tiger Run. THANX, I NEEDED THIS. 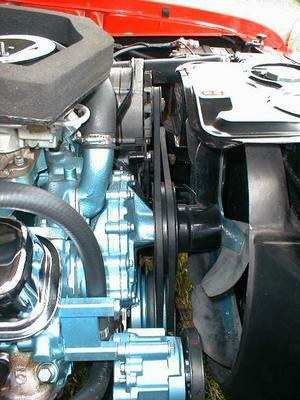 PONTIACS HAVE CHANGED THE BRACKET CONFIGURATION + THE NUMBER OF WATER PUMP BOLTS OVER THE YEARS. I ENDED UP WITH BRACKET FOR 1968,1969, & 1974. NOTHING WOULD WORK WITHOUT BIG MODIFICATIONS. I AM STILL TRYING TO BOLT THE ALT. 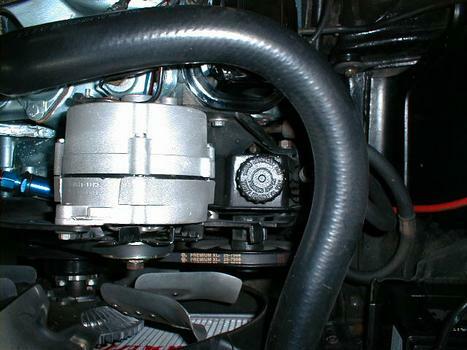 AND POWER STEERING JUMP TO THE PONT. 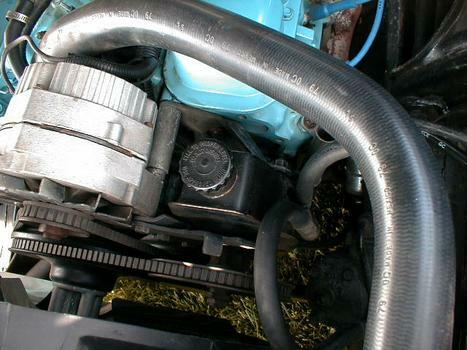 ENGINE AND THEN ADAPT TO THE EL CAMINO BODY. "AIN'T" HOT RODIN FUN ! ! ! 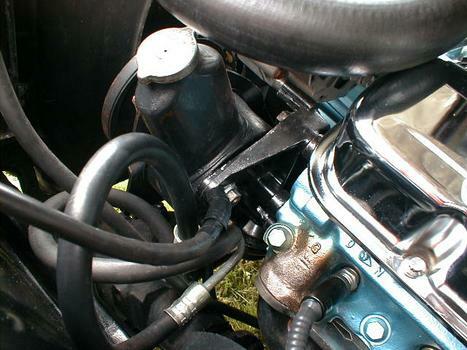 Great pics.Helped a lot,so now how do you adjust the power steering belt tight ?? 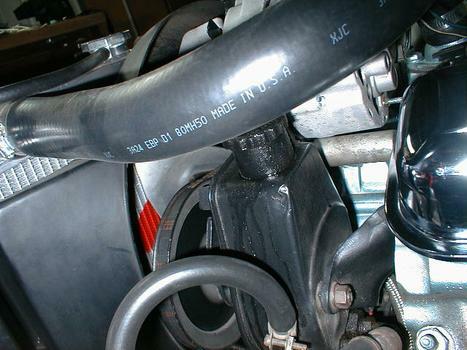 I would also like to know how you tighten the power steering belt? I exchanged motors from 389 to a 400. 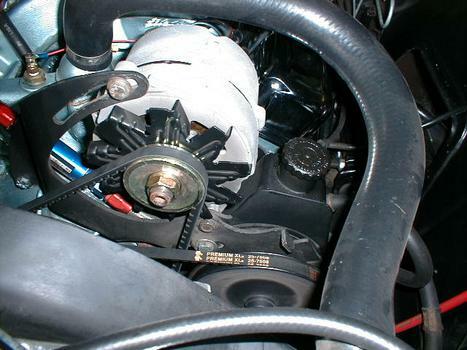 The alternator nor the power steering unit matched. Your pictures helped greatly. 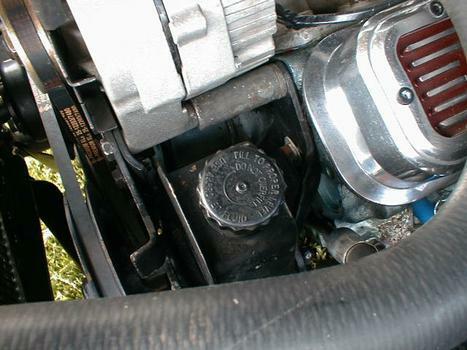 I have some clear ideas how to make my original alternator and power steering fluid pump work - with out spending ridicules money - for guys like me who don't have it to spend, and just want to get our old car running. Keep up the good work! I bought a rebuilt 400 and found out it had 68 heads. Still trying to gets brackets to line up. your pics are a great help!! Thanks loads, I just finished figuring this bracket situation out, when I found your pictures. They confirm my placement of brackets. sometimes BORING is just what I'm looking for... Thanks! Wow if not for these pics the rest of my hair would get pulled out and then more hats would be need instead, less money for new parts. 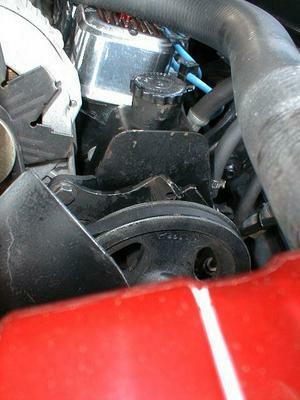 started with a hand full of brackets power steering pump and a big ? these alone answered all unknown problems at this point, thanks fellow pontaic 400 info dude ! Thanks for the pictures! It really helps!